Stencil graffiti, serigraffiti or pochoir Seems to appear on a wider scale in Paris, mid-1980:s, and soon thereafter in Berlin and New York. It is usually executed by academic trained artists, albeit this is an illegal art form. 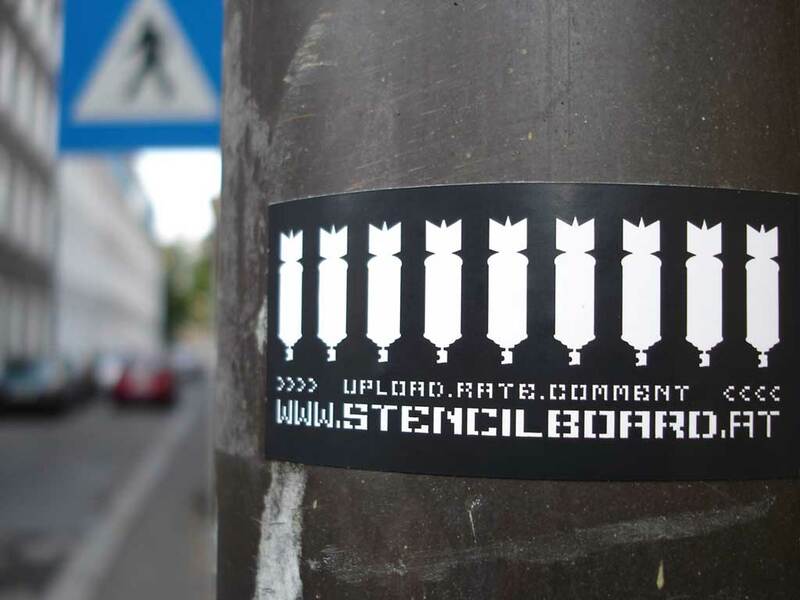 The ìstencilî could be either negative or positive, and it is commonly cut out in cardboard, plastic or metal to leave a pattern, a text or a picture on the wall, sometimes repeated and varied; it is set tight up on the wall and held steadily while spray painted. 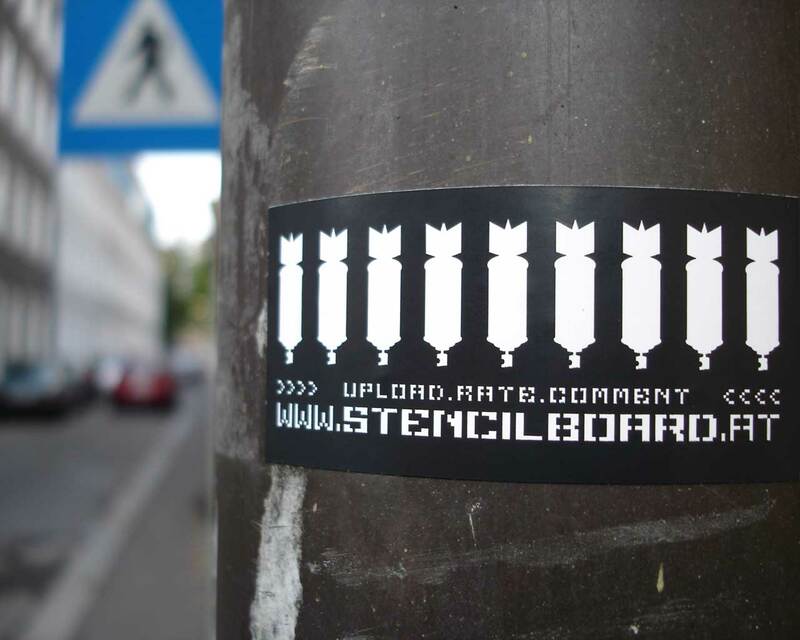 Well known stencil artist are Blek le Rat in France, Die Bananen Sprayer in Germany and John Fekner in USA, but there are hundreds of others major or minor stencil artists too. Lit. : Huber, Joerg: Serigraffitis. Hazan, Paris 1986. and Robinson, David: SoHo Walls. T&H, N.Y. 1990. MECHMAAT stencil- and pixelfont at once. Free font family with 8 styles. What is RSS, XML syndicated feeds? RSS lets you take news feeds and view them together in a simple, ad-free list, so you can quickly find all the articles that interest you from across the web. How do I subscribe to them? 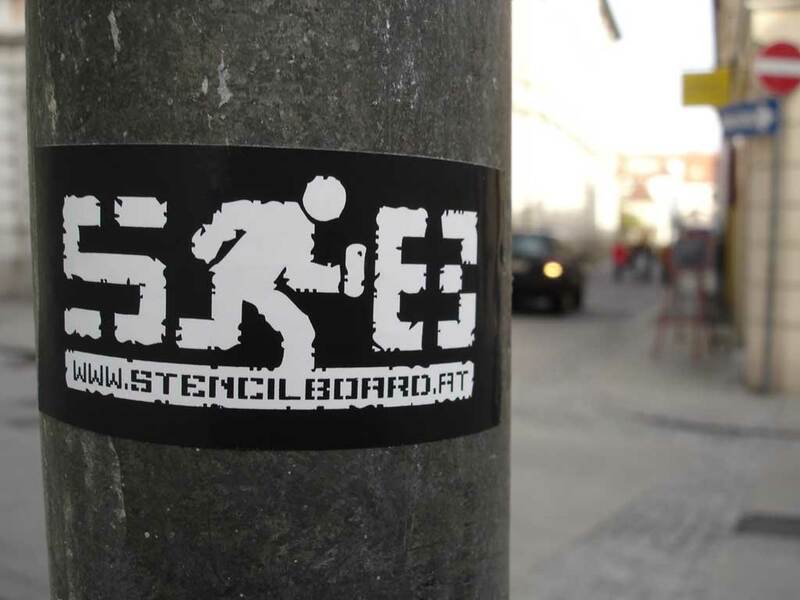 admin [at] stencilboard.at --- general questions, problems, bug reports? The collected material is only meant for viewing and artistic reflection. By no means do we want to evoke illegal actions. 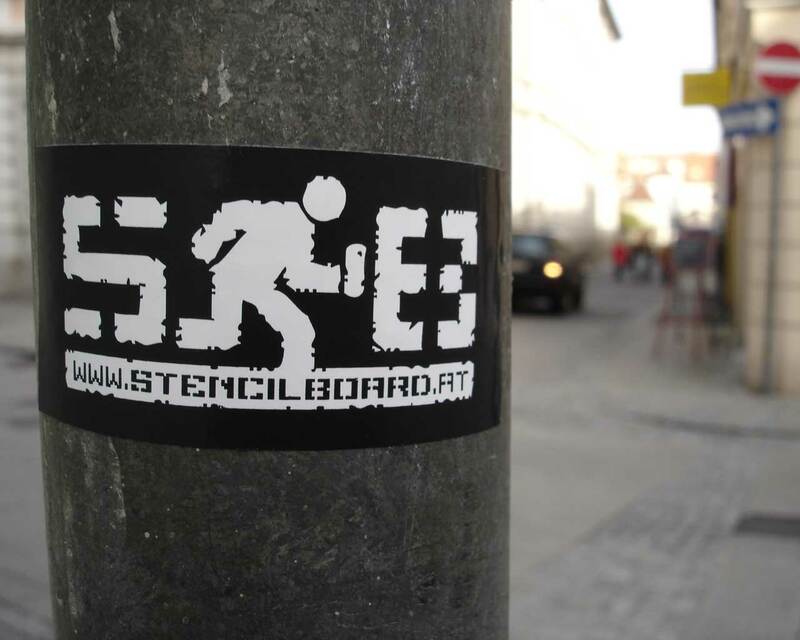 The operators of stencilboard are neither the artists of the exhibited illegal works of art, nor are they known to them.